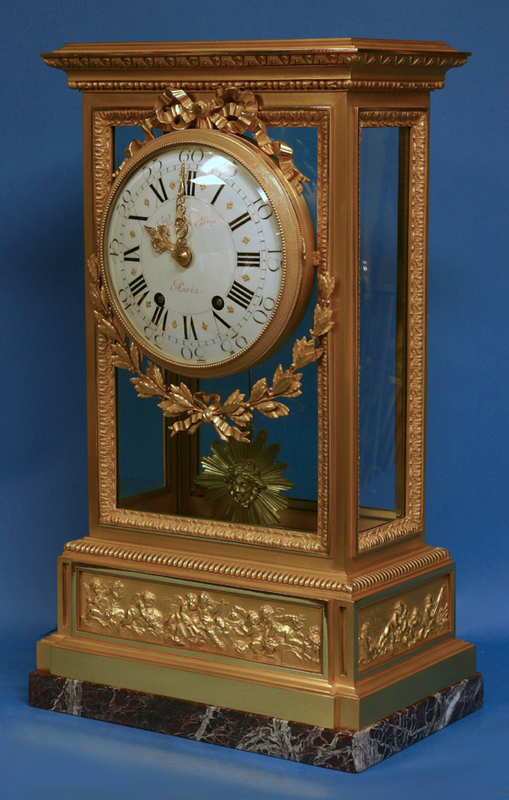 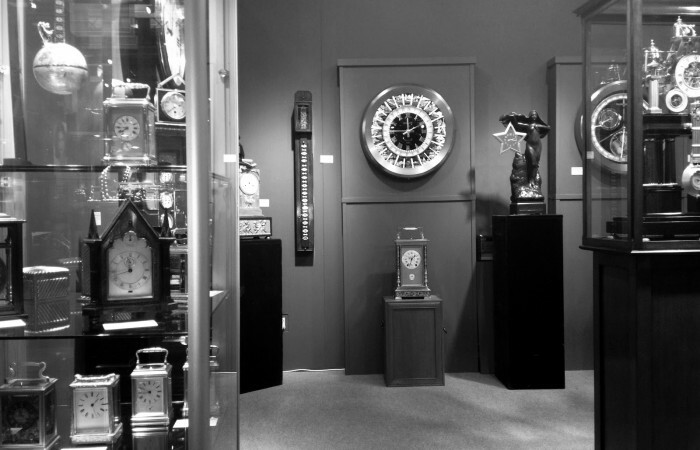 A large and impressive Victorian mantle clock by the eminent firm Raingo Frères, Paris. 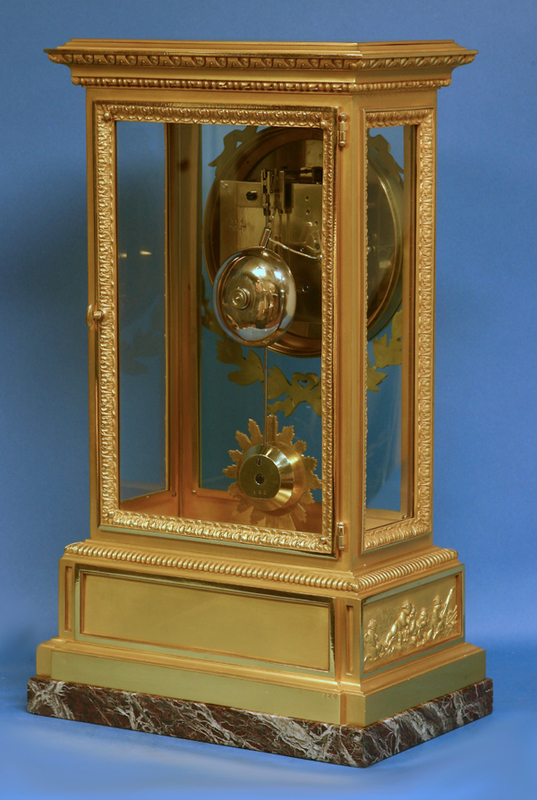 The glazed architectural gilt-bronze case has decorative and beaded moldings, three recessed panels that depict frolicking cherubs amongst scrolling foliage, a hinged bezel with a ribbon above and an acanthus leaf garland below and is stamped by the maker, ‘Raingo, 320’. 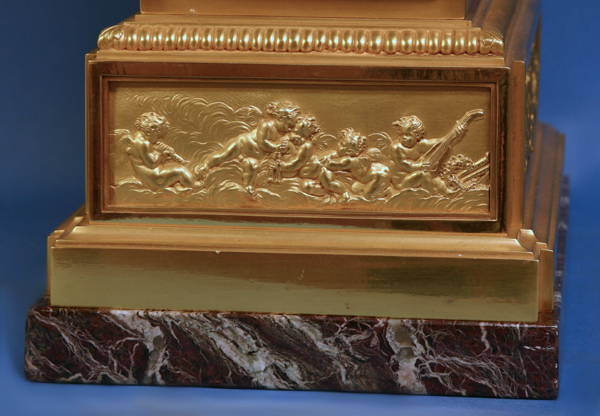 The whole stands on a red variegated marble base. 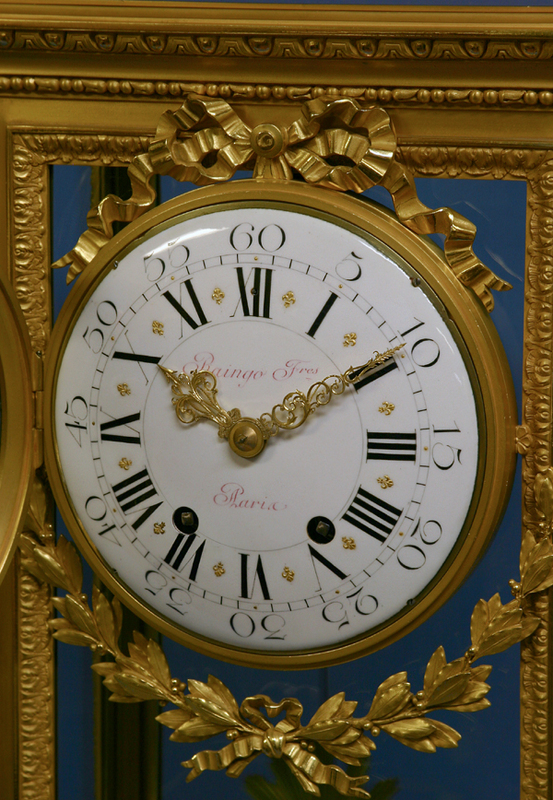 The large white porcelain dial has black Roman numerals for the hours, black Arabic numbers for the five-minute marks, decorative gilt half hour marks, two superbly detailed hands and has the maker’s name in red script, ‘Raingo Frers, Paris’. 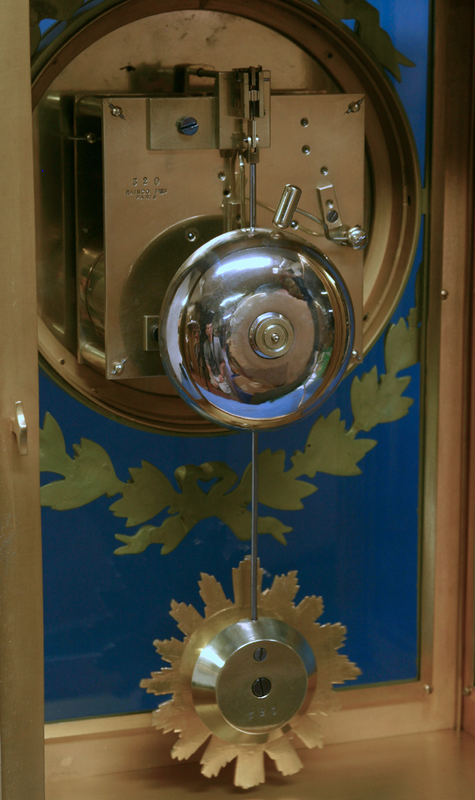 The large eight day time and strike movement has a steel suspension, rack-striking and a heavy starburst pendulum and both the pendulum and backplate are stamped, ‘Raingo, 320’.